Flojet‘s 4 Gallon Water Boost Systems are designed to ensure the highest drink quality, optimal pour rates, and equipment longevity. Flojet’s water boost systems provide stable water flow to dispensing equipment, handling peak demand and any water pressure fluctuations. System design provides superior draw down performance. 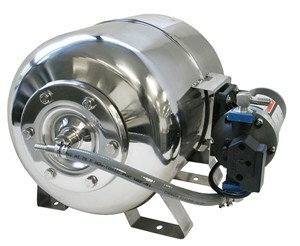 Safeguards against carbonator pump starvation and damage from insufficient water supply.